Aloha! 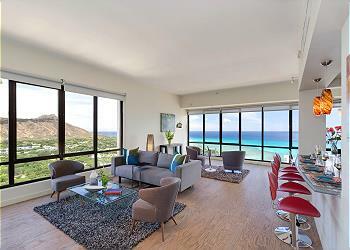 We look forward to providing your accommodations in Waikiki and hope you find booking your vacation rental through our website an easy and enjoyable process. Nobody enjoys legal fine print, but since our legal counsel insists, we’ll do our best to make this as simple and as painless as we can. 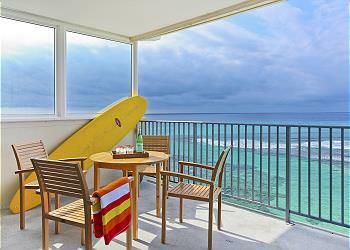 The following Policies, Rental Terms and Conditions apply to your vacation rental. Please read these terms carefully; you agree to be bound by these terms when you place a Reservation through our website. "You" refers to the individual placing the reservation. “Your” refers to all members of your party. “Principal Guest” refers to the individual placing the reservation. "We" and "Us" mean the Owners of Captain Cook Resorts (CCR) and Captain Cook Real Estate (CCRE). "Partners" means third parties. All bookings are made and accepted subject to the terms set out in these conditions. When You make a reservation, a hold is made while the details are confirmed. 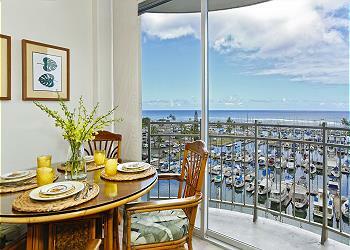 Once the downpayment is processed, we will email your Reservation Confirmation. Reservations over $5000 require a completed, signed Credit Card Authorization form, which will be emailed to you for your completion and signature. These forms must be returned within 24 hours of receipt or the reservation may be cancelled. Once the paperwork is returned, we will process your downpayment and email your Reservation Confirmation. 1. Age: You, the Principal Guest, must be 21 or over in order to make a Reservation. The Principal Guest must be present during the entire stay and is completely, solely, and unequivocally responsible for his/her personal actions as well as the actions, both financially and physically, of other guest occupants during the dates of stay. 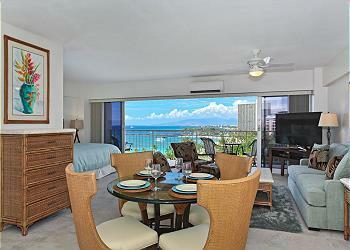 The Principal Guest agrees not to sublet share or assign the property to any unauthorized persons. CCR must be notified of any changes to the original booking. 2. Number of Guests Permitted in Condo: Each condo has a maximum occupancy, often set by the owner’s association, and indicated on each unit’s description, which cannot be exceeded. If maximum occupancy is exceeded, fines up to $500 may be accessed which may be grounds for immediate termination of your rental contract and/or eviction. 3. Availability: All vacation rentals are offered subject to availability, which includes the rental not having been damaged or rendered in a condition unsuitable for rental by the previous guests, or otherwise in an un-rentable condition. In the unlikely event of the rental not being available, we will notify you of the change immediately and will do our best to find a replacement property. We cannot, however, guarantee that we will be able to find a last minute substitute. For this reason and in case of emergency, guests must provide CCR with a contact number and email address. 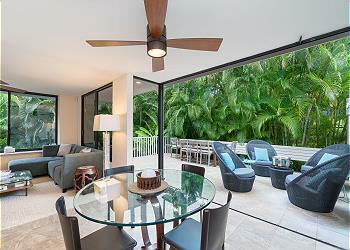 All condominiums are managed by owner associations that schedule annual interior and exterior maintenance. 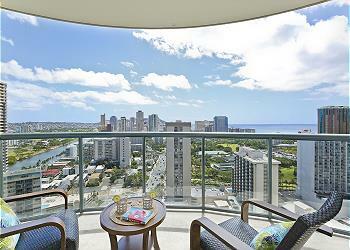 Our office has no control over the scheduling of pool/lanai closures or other items relating directly to the building itself, but we will do our best to keep you informed of issues which may affect your stay. 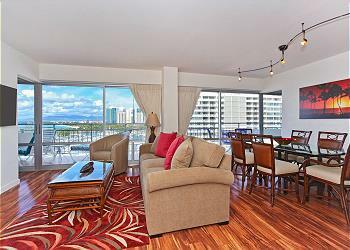 We cannot be held responsible for any inconvenience due to maintenance or construction in or around the condo. No refunds or relocations will be given due to construction or maintenance issues. 4. 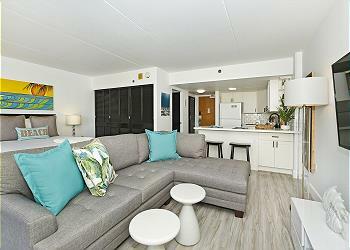 Minimum Stay Periods: There is a 3 night minimum on all nightly rental properties (with the exception of Waikiki Shore 1302, which has a 5-night minimum year-round), and a 30-night minimum stay for those properties which can only be rented on a monthly basis. There may be a 7-night minimum for nightly units during the Holiday Season (December 20th - Jan 4th). Please check with our reservation department for details and special requests. These terms are subject to change without advance notice. 5. 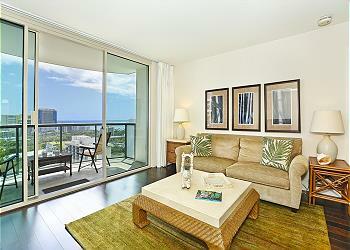 Rental Rates: All rates are in US dollars (USD). 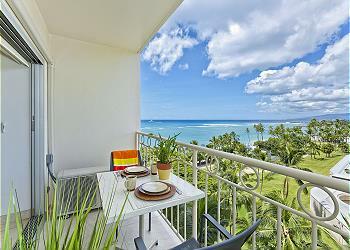 The rate for each rental is set to be fair to all concerned and to give you good value for your dollar. 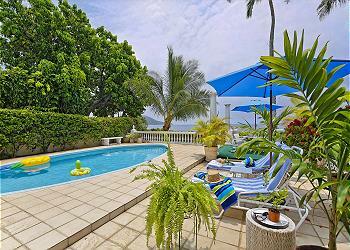 Once a booking is confirmed in writing by us, the rental rate is fixed and will not alter. If you later change your reservation, your new confirmed rate will be the rate in effect at the time of the change. 6. Payment, Cancellation and Refund: Payment is only accepted in the form of VISA, MasterCard, Discover, JCB, and American Express credit cards. A $300 downpayment, applied toward the balance, is required at time of booking for arrivals occurring more than 45 days from date of booking. For arrival within 45 days of booking, payment in full is required. 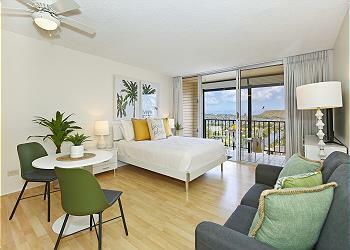 For units which can only be rented by the month, payment in full is required 60 days prior to arrival. If you cancel more than 45 days prior to your arrival date (OR 60 days prior to arrival for monthly rentals), your reservation downpayment will be returned, less our $100 Cancellation Fee. If you cancel within 45 days of arrival (OR 60 days prior to arrival for monthly rentals), there will be no refund unless we are able to re-rent the property for some or all of the time you committed to and refunds may be less than the actual revenue paid. Trip Cancellation Insurance is available, see below. For all reservations made within 45 days of arrival (OR 60 days prior to arrival for monthly rentals), payment in full is due at time of booking, and the Cancellation Policy, as stated above, will apply. A cancellation becomes effective from the date that it is received in writing, fax or by e-mail. 7. Repeat Guest Discount: Repeat guests who book through our Reservation Department or directly online at www.captaincookresorts.com can save up to 5% on nightly rates ($200 discount maximum or $100 maximum for Four Paddle 1008). 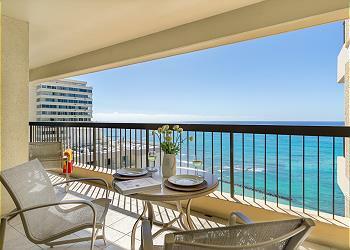 Certain restrictions apply: does not apply to condos with last minute discounts already in place, does not apply during Holiday Season (Dec. 20 - January 4), and does not apply to Colony Surf rentals or to Waikiki Shore 1302. 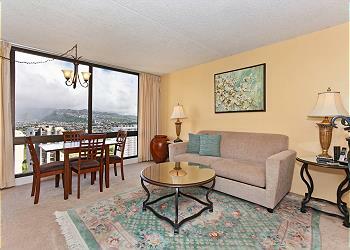 If you have any questions, please contact the Reservations Department at 808-738-5507. 8. Mandatory Procedure for Last Minute Bookings: For reservations made within 48 hours of arrival, guest MUST present photo ID and credit card which match the credit card used for payment. These items will be photo copied by the property manager at check-in and kept on file in our office. We apologize, but there are no exceptions to this rule. $500 for removing odor plus actual costs if anything needs to be replaced due to tar ashes or burns. 11. Accidental Damage Repair Program: Even when on vacation, accidents can and do happen. The non-refundable Accidental Damage Repair Program fee ($39 - $99, depending on property), handles the cost of accidental damage repair (up to $1000-$5000, depending on property) to the property or to the personal property of the Owner contained within the premises, by the Principal Guest and all members of the Principal Guest’s party and guests of same during their stay. Accidental damage MUST BE REPORTED PRIOR TO CHECK-OUT. Accidental damage exceeding this limit IS the responsibility of the Principal Guest. 6) damages to real property resulting from operation of any motorized vehicle by a Principal Guest. 12. Rental Period: You agree that the rental period will begin and end on the dates shown on your rental agreement Confirmation letter. 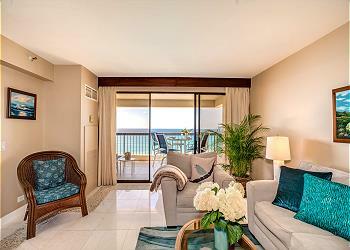 At the end of your stay, you agree to leave the condo by the 11:00 am check-out time to allow time for our housekeeping service to make the property ready for our next guests, unless an extension has been granted by our Reservations Department or Operations Manager. If you have a late departure flight, we recommended reserving the condo for an additional night so you will have the use of your accommodation all day and depart at leisure. Unauthorized late check-outs will be charged as follows: $50 per hour or the daily room rate, whichever is less. Check-In is 3:00 pm on the day of your arrival (except SAME DAY bookings which have a guaranteed check-in of 5pm). To guarantee check-in earlier than 3pm, guests must reserve the night prior to arrival. Check-Out is 11:00 am on the day of your departure. You may request a later check-out, but since another guest may arrive the same day you are departing, late check-out cannot be guaranteed unless you reserve the unit an additional day. If you have a late departure flight, we recommended reserving the condo for an additional night so you will have the use of your accommodation all day and depart at leisure. Unauthorized late check-outs will be charged as follows: $50 per hour or the daily room rate, whichever is less. Although there are no provisions for storing your luggage, you may want to check the special prices offered to Captain Cook Resort guests from Paradise Transport and Luggage Services (808-499-4561). Changing Dates: If you need to change dates, we will do our best to help make the requested change, subject to prior reservations. 13. Right to Enter: If necessary, a Captain Cook Resorts Representative or their designated vendors may enter the property in order to inspect or make necessary or requested repairs. Captain Cook Resorts Representative will give Guest at least 8 hours minimum notice before entering the Property, and will only enter during reasonable hours except in the case of emergency. 14. Private Property: Guest acknowledges that the accommodation is a privately owned home or condominium as opposed to a hotel. 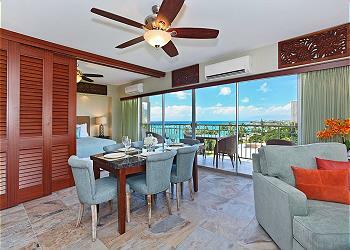 As such, hotel-like amenities such as daily cleaning and bell service are not provided. 15. Flight Information: Because one of our property managers will personally check you in, we ask that you provide your flight details (airline, flight numbers, and arrival and departure times) in case of flight delay. 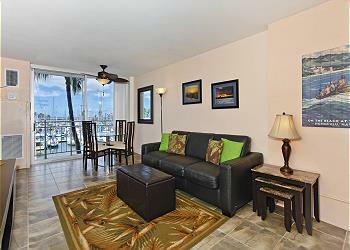 Before you proceed to the condo from the airport, you will need to call the property manager to arrange a meeting time. The property manager will only go to the unit after he hears from you, so be sure to bring the Arrival Instructions with you when you travel so you have the number to call. 16. What's Included? Your island “home away from home” includes bed linens, bath, beach & kitchen towels, dishes, silverware, cookware (including tea kettle & rice cooker), beach chairs, hair dryer, iron & ironing board, several days’ supply of coffee filters, laundry detergent, dish soap, dishwasher soap, bar soap, 2oz each of shampoo, conditioner, body wash and body lotion, paper goods (paper towels, tissue, toilet paper), and basic cleaning supplies. Additional sundry and food items are available local markets and grocery stores, for example, Safeway, at 888 Kapahulu Avenue, or Costco at 525 Alakawa Street (between the airport and Waikiki). We do not provide beach umbrellas, beach toys, aluminum foil, zip-Lock baggies, coffee, condiments, seasonings, cooking oil, fabric softener, and bleach. 17. 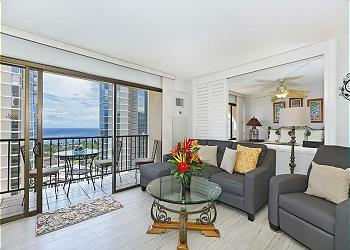 No Smoking: All properties are designated "No Smoking" which includes inside the condo and/or on the balcony/lanai. Smoking is ONLY permitted in the property's designated smoking area. Any violation is subject to a $500 surcharge (to remove any odor in the suite due to smoking) plus actual replacement costs due to damages by tar, ashes, or burns. 18. No Pets: We love pets as much as anyone, but pets are not permitted in any of our vacation rental properties. 19. If We Cancel: We reserve the right to cancel any booking where we believe the information supplied to us concerning the identity of any or all persons listed on the booking form is incorrect or untrue. 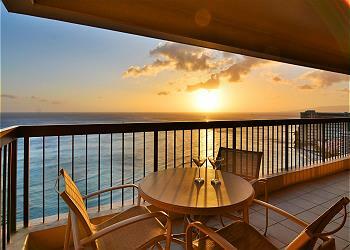 In this case your booking downpayment will be refunded less a $100 cancellation fee. We also have the right to cancel the reservation and compensation will not be payable nor liability accepted if your choice of property becomes unavailable for your travel dates due to: 1) Damage made by prior Guests or any major problem that can occur in the home ; 2) We are forced to make a change as a result of unusual and unforeseen circumstances beyond our control, the consequences of which could not have been avoided even with all due care; 3) The property sells after your reservation has been confirmed; or 4) where we are doing so for a reason that will directly benefit your enjoyment of the holiday. In any of these four cases, we will do our best to assign you an alternative property of equal standard to the one booked, in the same or similar location, if available. In case you don't accept this option, or a replacement property is not available, we will refund in full your downpayment or any other payment that had been applied to the rental. 20. Neighborly Conduct: Your vacation rental is a privately owned property which has neighbors. Please ensure that you act in a neighborly and courteous manner towards your neighbors, who will most likely not be on holiday. Please respect their space, and keep noise to a minimum before 8:00 am and after 10:00 pm. We ask that you treat the property, furniture, fittings, utensils and other facilities with all due care and respect. Please be aware that you are responsible for any damage caused during your stay in our vacation home. 21. Advising of Damage or Loss: Please let your Property Manager or the Reservation office know right away if anything breaks, is damaged or needs maintenance so that repair or replacement can be done as quickly as possible, for your continued enjoyment. 22. Force Majeure: We regret that we cannot accept liability or pay any compensation where the performance or prompt performance of our contractual obligations is prevented or affected by "force majeure." In these booking conditions, "force majeure" means any event which we or the supplier could not, even with due care, foresee or avoid. Such events may include, but are not limited to, war, threat of war, civil commotion or strife, hostilities, strikes or other industrial dispute, natural disaster (hurricane, tornado, earthqake, fire, flood), acts of God, terrorist activities, technical problems with transportation, closures of ports, ferries or airports, quarantine, epidemics, weather conditions, government action, or any other event beyond our control. You may wish to take a travel insurance policy which provides coverage against some of these events. See #8 above, Travel and Trip Cancellation Insurance. 23. Personal Injury and Lost or Stolen Property: You understand that we cannot accept responsibility or liability for any physical accident, injury or illness sustained during your rental period, regardless of how it may occur. You are liable for lost or stolen personal property of yours from the property during the rental period. We are not responsible or liable for any such loss. We provide information and advice to you in an advisory capacity only, with no guarantee or promise of security, even where you make use of any advice given. In the event that you have any property lost or stolen, please notify the police immediately by dialing 911, and then please call and advise us of the situation. 24. Pool Safety: All use of any swimming pools, spas and the surrounding area is solely at your own risk. We request that you accompany and supervise children at all times, being extra cautious in and around the pool area. 25. Equipment Failure: In the event of equipment failure, please notify us immediately so that we may remedy the problem. We will not be held responsible for any equipment failure in the home, provided that arrangements are taken for its timely repair. If repairs cannot be affected to major household equipment such as power or water supply and air-conditioning within a 24-hour period, we will do our best to move you to another similar property, subject to availability. If this is not possible, our total liability shall not exceed the amount of one full week rental payment. 26. Insect and Pest Issues: Hawaii is a tropical climate in which insects, rodents, and lizards are common. Even though all condos and homes receive regular pest treatment, you may still encounter these pests during your stay. Residue from these treatments may leave some dead insects in the properties. This is not a sign of infestation, but shows the treatment is working. Please notify us immediately if you see any live insects, so we may take appropriate action. An encounter with a pest inside or outside of your rental is neither reason for termination of your rental agreement nor grounds for refund of all or any part of your monies. 27. If you have any concerns: If you are unhappy or unsure of any aspect of your booking, please contact us before you travel so we can ensure you are completely satisfied with your arrangements. During your stay, please call us as soon as anything arises that needs our attention, and give us the opportunity to resolve the matter as quickly as possible. 28. Acceptance of Terms and Conditions: Placing your Reservation Request with us means you agree to accept these Rental Policies, Terms, and Conditions and agree to additional charges as listed. 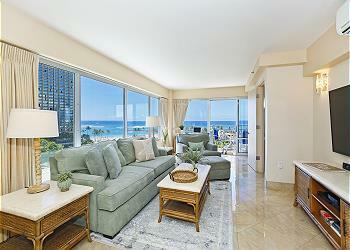 We look forward to serving your Waikiki vacation rental needs!